Obviously, the casting directors for Beauty and the Beast wondered, “What other female character spends all her time with her nose in a book?” The best they could come up with was Hermione. 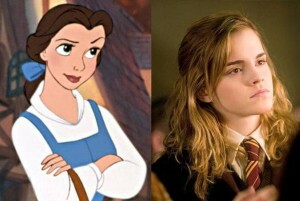 Because Belle and Hermione are both beautiful women who love to read, everyone thinks they’re weird — obviously. Hermione is ostracized by her peers (including her future husband Ron Weasley) in J.K. Rowling’s first Harry Potter book for being a know-it-all, while the townspeople sing about Belle in the opening scene of Beauty and the Beast, “Look there she goes that girl is strange, no question. / Dazed and distracted, can’t you tell?” People are the worst. While Belle shows her affection for the Beast, a creature who repels most, Hermione is kind to the gentle giant Grawp, half-brother of Hagrid, the Hogwarts gamekeeper. Grawp, however, never turns into a handsome prince. When Belle comes to Beast’s castle, she finds an enchanted world where teacups and candelabras can sing and dance. Hermione is a muggle whose first major introduction to the magic is at Hogwarts where the ceiling can change from night to day and ghosts wander the halls. The Beast’s home and Hogwarts? They’re both massive, old and awesome magical castles. Emma Watson will feel right at home on the Beauty and the Beast set. Belle defends her beloved horse, while Hermione is always a helper to the house elves (RIP Dobby). She even launched a Society for the Promotion of Elfish Welfare. Gaston, a detestable human being, is relentless as he hits on Belle. 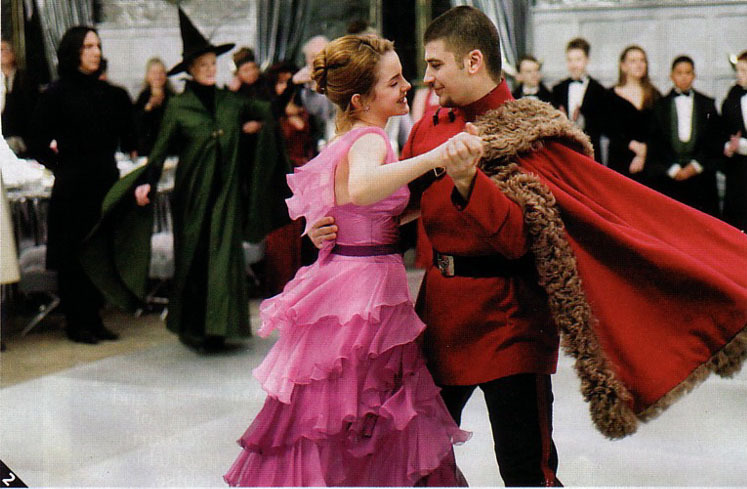 Hermione, too, must suffer through the amorous advances of Cormac McLaggen at Potions Professor Slughorn’s holiday party. Both are smart enough, of course, to run away from their loathsome suitors. Don’t tell these ladies where they can and cannot go. 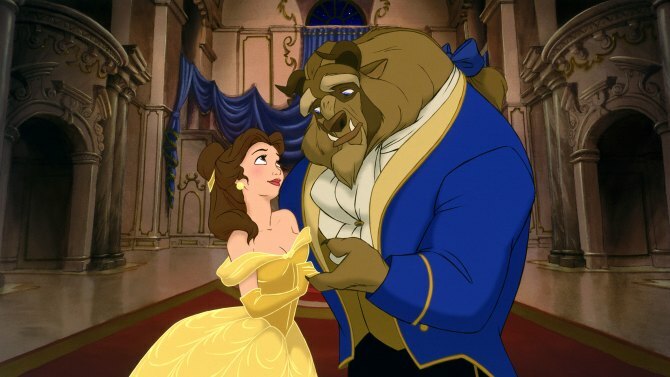 Belle wanders into the forbidden west wing of the castle even though the Beast warns her not to do so. Hermione passes off an autograph from Professor Gilderoy Lockhart as a note that allows her to enter the restricted section of the library in Hogwarts. Hermione makes fun of Ron for eating like a slob, just like Belle throws shade at the Beast for eating his oatmeal like, well, a beast.